This month we are taking the opportunity to look back on what laser application insights we have reviewed to date in 2018, ensuring all our subscribers are kept up-to-date with all the content available at your fingertips. So for more information on cleaning, marking, welding, additive manufacturing, engraving, and layer ablation keep reading! Metal cleaning is an exceptionally important process in many of today’s industries as surfaces can often gather or contain contaminants such as rust. Cleaning is a process that our redENERGY Pulsed Fiber Lasers are very proficient at, removing contaminants in a matter of moments. Fiber laser cleaning is a non-contact process, meaning the laser beam won’t have any adverse abrasive side effects on the base material. And unlike traditional Industrial cleaning methods, only light from the laser touches the surface layer, improving its accuracy, and reducing downtime as there are no moving parts to be replaced. Additionally, our redENERGY fiber lasers incorporate PulseTune technology which offers OEM integrators highly flexible control over pulse width and peak power. This unique PulseTune function enables market leading repetition rates whilst maintaining peak power. Our redENERGY G4 Pulsed Fiber Lasers are able to quickly and cleanly remove rust from metals. With high-volume applications such as marking, there is demand for controlled power, repeatability and high-speed efficiency, all of which are provided by our Pulsed Fiber Lasers. Capable of marking a wide variety of materials, fiber lasers produce permanent marks with a non-contact process at high speed with high precision. Laser marking requires no consumables and marks are computer generated and are therefore highly flexible. We offer a wide range of pulsed fiber lasers with power options from 20W up to 200W, each unit is precision-engineered to maximise performance, offering the latest innovative features such as CW mode functionality, pulse modulation, and a choice of air or water-cooled systems. These options enhance the applications that one single laser can achieve. Our fiber lasers are configured with custom beam-delivery optics that are capable of different beam qualities. These allow you to focus the laser beam on a specific part of the surface, ensuring that heat generated does not cause damage to the surrounding area, while leaving a visible, high-contrast mark on the affected area. During this process no layers are removed, proving highly-reliable to a vast number of industries. Our pulsed fiber lasers can leave marks of different contrasts. Welding Flexibility with an SPI Fiber Laser! We believe in providing the right tool for the right job, which is why our product range of pulsed and CW fiber lasers can process a wide array of applications and materials; welding being a particularly popular example of their capability. 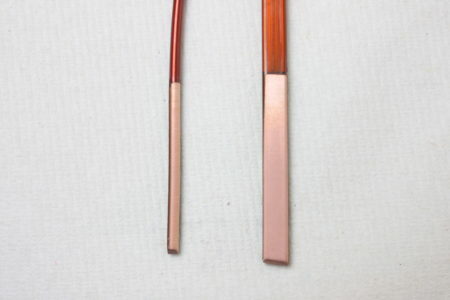 For example, our pulsed fiber lasers can micro-weld various thin metals, but on the other hand, our CW fiber lasers offer much higher power to work with thicker, more rigid metals. Whether it’s micro-welding or heavy-duty welding you’re hoping to achieve, our fiber lasers offer a high level of accuracy and control to carry out your industrial manufacturing challenges with speed and repeatability. Having the ability to be precise means they will weld together small parts without damaging the surrounding material. Furthermore, our flexible fiber lasers are capable of welding dissimilar and bright metals, with no damage being caused to the workpiece of the laser itself (via back reflection of the laser beam). Whether you are looking to process micro or macro applications, our fiber lasers can be easily-integrated into existing machinery to ensure maximum ease of use. Achieve total welding flexibility with our full range of fiber lasers! Our redPOWER CW fiber lasers can work with fine metal powders, used commonly within 3D printing. 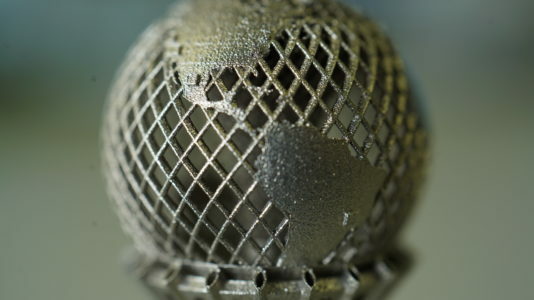 This form of Additive Manufacturing has built momentum in recent years, which is why we have developed a bespoke solution to match the demand for this innovative process. Industrial manufacturers can construct complex 3D shapes using our precision-engineered fiber lasers to melt metal powder layers on top of one another. This is an extremely-efficient process as is takes just a few hours rather than weeks to create a finished piece, and yet it can be highly detailed. This innovative process allows shapes to be constructed that are far more complex and lighter than have ever been possible before; as a consequence this process is becoming more and more popular within the industrial manufacturing sector. From our premium fiber laser range, we offer two options capable of undertaking this application; our redPOWER QUBE 500W AC, and redPOWER 2kW; but are always seeking to develop more innovative solutions for the future. 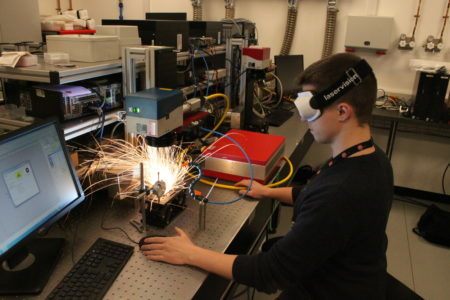 To find out more about how our fiber lasers are being used for Additive Manufacturing, why not visit our Applications Insights and Postcards Page on the subject. Alternatively, you can get in touch with a member of our highly-skilled Sales team at sales@spilasers.com. Our CW fiber lasers can be used for Additive Manufacturing processes too! 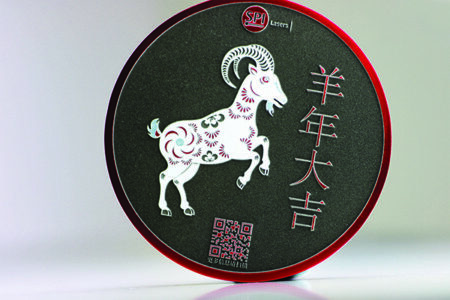 Our pulsed fiber lasers engrave materials as well as mark them, working with various materials such as metals and ceramics. It is important to acknowledge this is different to laser marking though as the process goes beyond the surface. However, no damage is caused to the material by our fiber lasers. We recommend our redENERGY G4 pulsed fiber lasers for this application as opposed to more conventional ’contact‘ methods, to achieve absolute perfection at a reduced cost but improved speed. Our redENERGY pulsed lasers come in an array of different options, from our G4 20W – offering trades a high-quality engraving solution, to our G4 200W – renowned for their fast processing speeds. Considering time, quality, and application, our expert engineers have helped us develop products that benefit everyone, not just for their performance, but also for being highly cost-effective. Our premium pulsed lasers will leave fine, detailed marks such as the deep engraved mark in the image above. Our redENERGY G4 pulsed fiber lasers will tackle even the most industrial manufacturing challenges, such as where precision is a key factor. 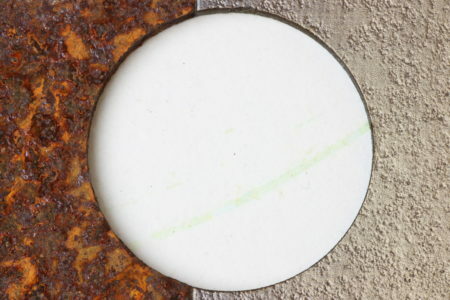 This is the case with layer ablation, a process whereby layers can be removed from metals or industrial compounds, to reveal a new surface layer. The benefits of using redENERGY G4 pulsed fiber lasers over existing alternatives are their speed and accuracy. A quick chain reaction occurs as the fiber laser heats the material, resulting in removal of any unwanted layers from the substrate. 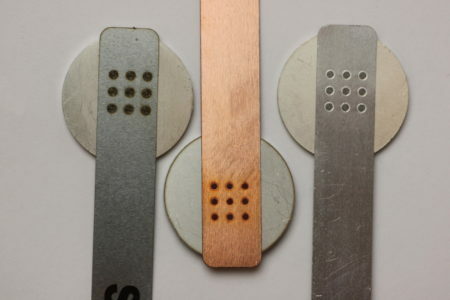 This is a unique process which can be achieved using virtually any of our pulsed lasers. Our pulsed lasers may also be used for layer ablation, as shown in the above image where the wire coating has been removed. Over the coming months we will continue to publish articles that focus on specific applications helping you to understand how a fiber laser can improve your business’s productivity. Whatever high-volume manufacturing process you are trying to achieve, we could have a fiber laser solution for it! Get in touch with our Sales team today at sales@spilasers.com to find out more!